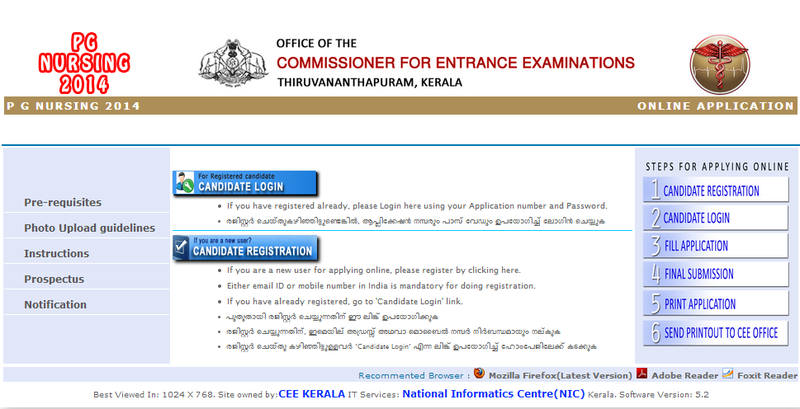 CEE (Commissioner for Entrance Examinations) invites online application for the Entrance examination for PG Degree Courses in Nursing (M Sc Nursing) Admission 2014 to various Govt and Private Nursing colleges in Kerala. Online form submission started on 02-July-2014 and Ends on 14-July-2014 at 3.00 PM. Entrance exam will be conducted on 03-August-2014 Sunday.